LIFE of BIM: It's play dough time! 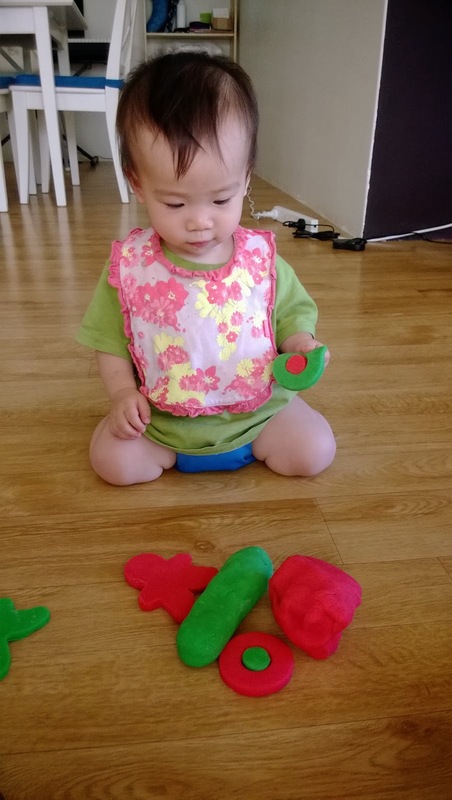 Few days ago auntie V gave me some play dough she made herself. 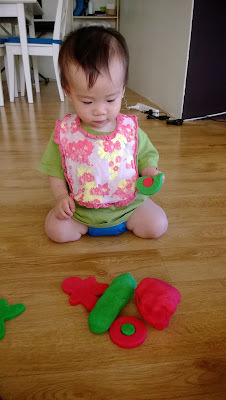 The play dough looked very delicious in red and green, however mummy kept insisting me not to eat them. Today daddy made some green and red men and a giant skate board using the play dough. I was not interested at all because I couldn't eat them. Then daddy created a Christmas shoes for me, they looked cool and I wanted to eat them badly. 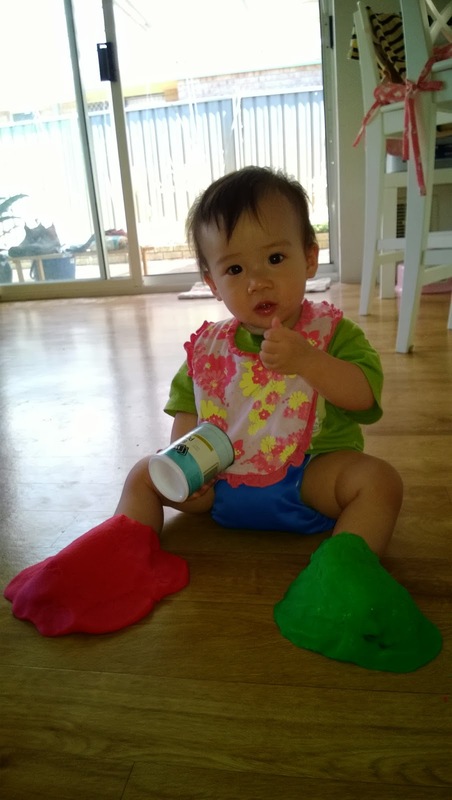 So mummy intervened and we ended our play dough session today. 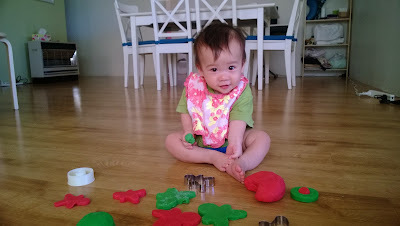 Anyway thanks auntie V for the play dough, I'll play with it again. Mix all ingredients in a saucepan. Stir over medium heat for 3-5minutes or until the mixture congeals.